One yard each of fabric for the main body of bag, and lining. 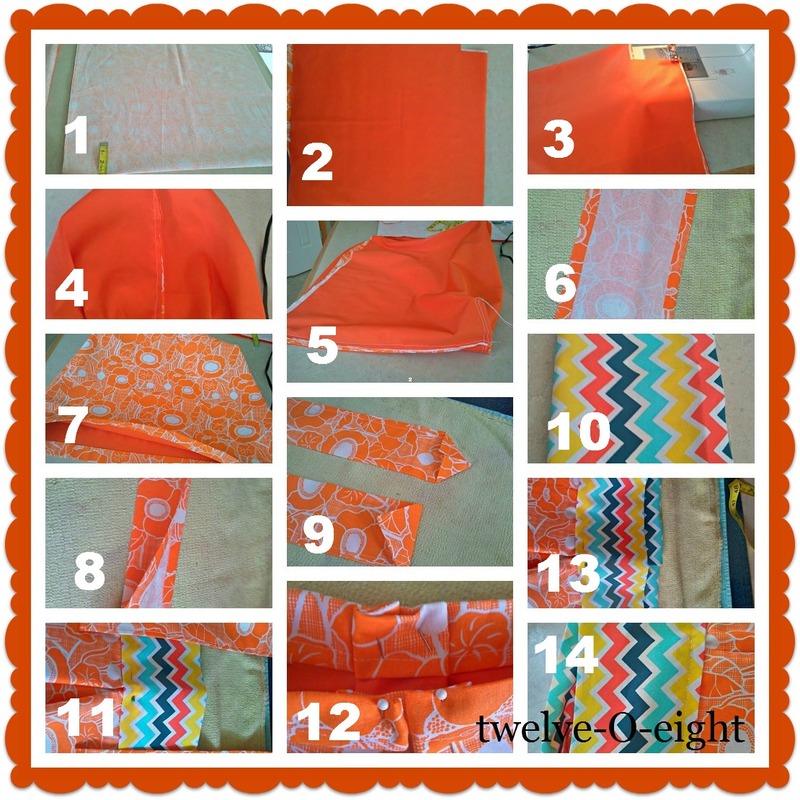 Thread, sewing machine, iron, scissors, tape measure, etc..
Place outer fabric and liner together and fold in half, and using tape measure, cut bag out leaving the bottom folded (like a rectangle when opened up) in a 18″ by 18″ square. At the bottom of the square that is folded, cut out two 3″ by 3″ squares on the side of the fabric that is folded. This will be the bottom of your bag. See pictures 2 and 3. Match lining and fabric up so the bag is basically inside-out and run a seam along the right and left sides of the square, like in picture 3. Once the side seams are in place, and bag is still inside-out flatten out the bag in the opposite direction so the squares that were cut out are flat, and the seam that was just sewn is in the middle of flattened seam across the bottom. This will form the bottom of the bag, and the three seams will look like a capital “T” on each side when done. See pictures 4 and 5. Fold the top down like in picture #5 above twice, about 1/2 inch each fold, and press. For your straps you will need to cut two long strips about 6″ wide and about 36″ long each. Fold each outer long edge in a press well. Run a seam around the top of the bag and set aside while you work on the straps and contrast band. Fold pressed straps that have cooled in half lengthwise and press again. Run a long seam down each strap along the open pressed side and your straps are done and ready to be formed. On the end of each strap, fold the corners in like in picture 9, and then fold up one more time to make a neat square end of the strap, pin and press. Cut a rectangular piece of contrast fabric for the band about 30″ long, and 12″ wide. Just like the strap, fold it right side out and lengthwise, fold each long edge in about 1/2″ and press. I am going to skip for a moment to picture 12 because I did two things at one time. Compare the length of the band when folded in half to the top of the bag. Make one pinch pleat in front and one in back, pinning them in place. Picture 13 and 14 show the process of now stitching around the section of the bag where the bottom part of the band, and the top part of the pinned bag meet. Begin on the side (back) where the band would overlap, carefully sewing and removing pins as you go, attaching the band to the bag and stitching pinch pleats down at the same time. Once you have gone all the way around, a short seam sealing the remainder of the band where it overlapped complete the bag, only the straps need to be attached at this point. In picture 11 and 14 above, space the straps out enough to make the tote bag comfortable and strong when using it. Pin the end of each strap so about 1/4″ of the contrast fabric is peeking out below the base of the strap. Stitch a square about 2 12″ by 2 1/2″ where the straps connect, checking your work to make sure they are even, tiee and trim loose threads and you have a fabulous new bag! I had so much fun making this market tote, I cannot wait to make the next three 🙂 Happy creating, and blessings from my messy craft zone to yours! This is absolutely adorable! I love the orange! Great job! I love the colors.. Such a fun tote. 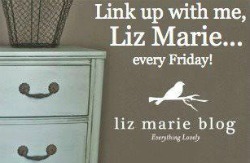 Thanks for linking up at Friday Fun Party. Have a nice weekend! This is so cute! I love it. New follower! Yay for being blog friends! Way cute girl!! Thanks for linking it up to my 1st Chic Couture! Happy Weekend! Love the design and colors! Thanks so much for linking up to our Pretty Things Party! I hope you'll be back next week! I love this: the bright colors, the shape…everything! Thanks so much for sharing at the Pinworthy Projects Party! Awesome………………….!! !Thanks for sharing such a wonderful idea. So cute! I really like the fabrics you used. Great tutorial! Thanks for sharing at the All Star Block Party. 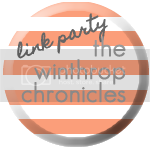 Thanks so much for sharing with Wednesdays Adorned From Above Link Party. This is such a cute bag. Oh I love it! 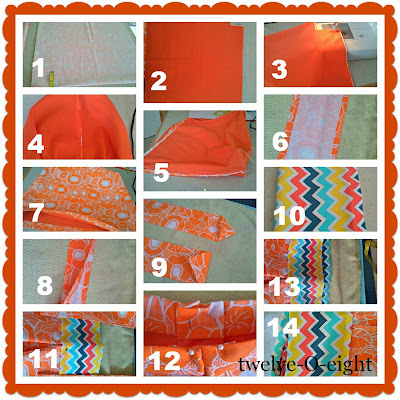 The bright orange fabric is fantastic, and it looks simple enough even I might be able to make one 🙂 Thanks so much for sharing this at The Fun In Functional! Thanks for sharing this inspiring post on Simple & Sweet Fridays. Love the bright colors, perfect for the summer! Super Cute! Love the orange fabric you chose. Great Job! Tanya, this is a great tutorial! 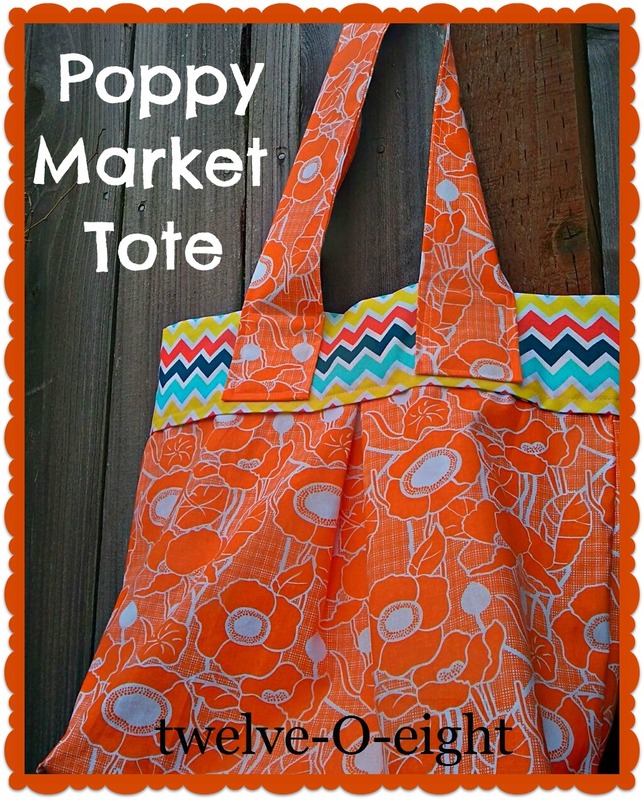 Love the tote and LOVE the fabric you picked! Love it. 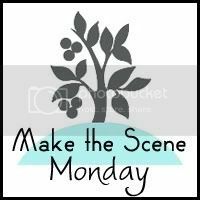 A great tutorial and your fabrics are so fun and happy. Thanks for sharing this week. PwtSLq Major thanks for the article post.Thanks Again. Cool.